The perfect balance of poise, elegance, and urban attitude, the Bonneville T120 is the direct descendent of the legendary 1959 Bonneville motorcycle. From its peashooter-style silencers, engine profile, and beautiful details to its iconic silhouette, it’s every inch the modern classic you want it to be. Fed by authentically styled twin-throttle bodies, the 1200cc high-torque Bonneville engine delivers a massive 105Nm of peak torque at a low 3,100rpm. With thrilling performance, supreme comfort, real-world practicality and dynamic yet easy-going handling – you’ll love to ride it all day, every day, alone or with a pillion. Confidence-inspiring technology has been sensitively incorporated including ABS, ride-by-wire, traction control, torque-assist clutch, two riding modes, heated grips as standard and liquid cooling for better fuel economy. Together with its classic styling, the result is undeniable – the Bonneville T120 is a genuine icon, beautifully evolved. LED REAR LIGHT: LED rear light, incorporated into the classically inspired and stylish tail set-up, bring a distinctive rear light pattern and power efficiency. ABS: The contemporary safety standard, Triumph's anti-lock braking system sets the standard for control to the Bonneville T120 and T120 Black. RIDE-BY-WIRE: The Bonneville T120 and T120 Black's electronic ride-by-wire system enhances throttle control, responsiveness, safety and feel. RIDING MODES: Linked to the ride-by-wire system the two selectable Mode options 'road and rain' provide the rider with real control and safety. TRACTION CONTROL: Taking advantage of the sophisticated ride-by-wire system the T120 and T120 Black incorporates a switchable traction control system that optimises the delivery of its class leading torque. TORQUE ASSIST CLUTCH: Bringing a light touch and feel to the clutch control of the T120 and T120 Black, the new torque assist clutch system makes it easy to ride, and ride longer. HEATED GRIPS: High specification factory fitted heated grips, with a 3-mode setting, come as standard on the Bonneville T120 and T120 Black. FINGERTIP CONTROLS: The T120 switchgear presents a simple fingertip control scroll button for easy access to the key features on the beautiful digital clocks. TWIN FEATURE CLOCK: Stylish feature-packed twin clocks (speedo and rev counter) with beautiful 3D dial faces cleverly incorporating a digital menu system accessed by a handlebar mounted scroll button. Key features include: gear position indicator, heated grip status, odometer, two trip settings, service indicator, range to empty, fuel level, average and current MPG, clock, access to turn off traction control features. DRL HEADLIGHT: A new contemporary standard, the Bonneville T120s headlight incorporate the latest in daytime running lights (DRL) delivering a distinctive signature light pattern and enhanced power efficiency for long term durability. ENGINE IMMOBILISER: A security device that integrates a transponder into the T120 key, linked to a receiver in the ignition system, that prevents the engine from running if the correct key isn't used. DYNAMIC HANDLING: Both of our Bonneville T120 models feature a chassis and suspension, set-up and developed for relaxed and refined riding everyday, all day, alone or with a pillion passenger. 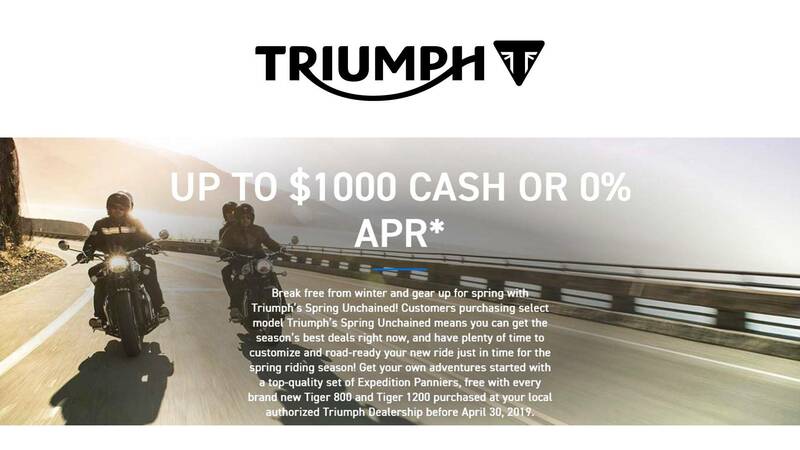 Combining Triumph’s signature ride dynamic of neutrality, agility and stability with advanced levels of comfort and control, for an engaging, yet easy-going experience. 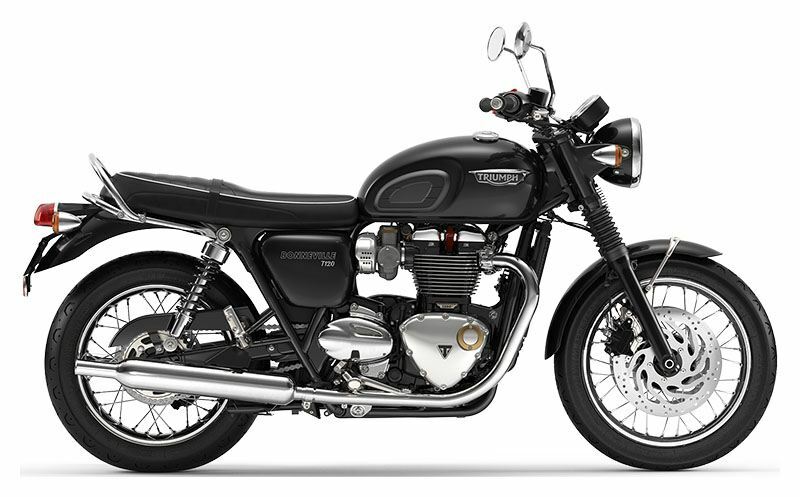 COMFORTABLE AND PRACTICAL: With a relaxed riding position, comfortable seat, heated grips as standard, centre stand and passenger grab rail the Bonneville T120 and T120 Black are fully equipped for maximum riding comfort and real world practicality. Front - 32-spoke 18 x 2.75 in. Rear - 32-spoke 17 x 4.25 in.